THE previous post reinforced the trend of software patents dying in the US, irrespective of what the USPTO does (because the courts have the final word and the highest court said “no” to software patents in Alice). “It is widely known that when large corporations want to accomplish something in politics they can just bribe (or “hire”) some politicians, e.g. to change the law.”A few days ago we became aware of a new push to pressure politicians into undoing Alice. It is widely known that when large corporations want to accomplish something in politics they can just bribe (or “hire”) some politicians, e.g. to change the law. As usual, IBM, Microsoft etc. (acting via their front groups) are trying to rob us all and undermine patent progress. There were some tweets about it, which triggered a flurry of communications with us about 4 days ago. It quickly started to become clear what was happening around that time. Yes, this is how they operate. They did this in other countries too, e.g. in New Zealand. We wrote about that at the time. Amazing? Yes. Surprising? No. We saw that coming. Not if we raise awareness of this and fight back. “Amazing? Yes. Surprising? No. We saw that coming.”Then came the “Swamp” friends of Watchtroll and his ilk, with tweets like this: “@USinventors proposal on subject matter eligibility is also shaping the Congressional discussion. Depends on TC Heartland & non judiciary” (TC Heartland is due soon). “If IBM uses radical sites like Watchtroll (which mocks judges) to lobby for software patents while paying former officials to ‘buy’ the law, then IBM certainly turned us into its enemy (we used to be a friend).”Well, it didn’t take long for Watchtroll to advertise this, with IBM taking the lead, as usual. 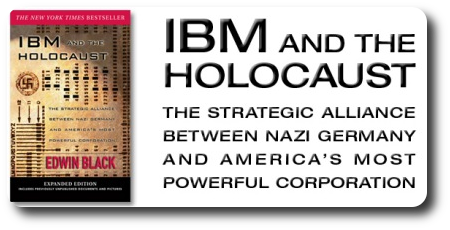 In fact, for IBM to associate with such people says a lot about IBM. If IBM uses radical sites like Watchtroll (which mocks judges) to lobby for software patents while paying former officials to ‘buy’ the law, then IBM certainly turned us into its enemy (we used to be a friend). Don’t forget the role played by David Kappos, the former Director of the USPTO. David Kappos is now selling influence/access, thus disgracing the USPTO which he came from (he had come from IBM before that). “David Kappos is now selling influence/access, thus disgracing the USPTO which he came from (he had come from IBM before that).”It’s not too expensive buying policy in the US. Corporations such as IBM, together with an IPO “task force” (that’s what they call it) do this right now. David Kappos — now bankrolled by IBM, Microsoft etc. — tries to make software patents legally enforceable again, using old euphemisms such as “clarity” (to make it seem like they don’t steal democracy and stomp on the Justices). “IBM is very, very evil now.”IBM is now aided by a lobbyist (revolving doors in USPTO, also paid by IBM before and after his time at the USPTO). It is purchasing (or at least trying to purchase) new laws so as to override the highest court. No ambiguity here. IBM is an enemy of Free/Open Source software. To IBM, it stops nowhere. They're bullies. They have become huge parasites again. They once again hijack the word “fix” to mean break. They want to undo the fix. We have noted this deceptive pattern for over a year. How misleading a hijack of words. “It probably won’t take long for Microsoft to publicly join IBM in pushing for this “fix” [sic], which means making Patent Trolls Great Again.”Henrion has already been the victim. He is a programmer like myself. We are deeply and utterly disgusted to see a sort of alliance between Watchtroll, IBM, and Patently-O too, promoting the attack on software developers. The other day Patently-O once again promoted old myths about patents, which are neither a right nor property. Using their misleading words, they keep calling those whom they rob “thieves”, alleging that people who write their own code are “stealing” (as opposed to trolls who shake them down for ‘protection’ money).